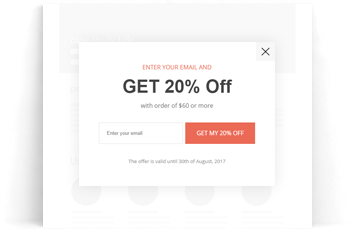 Start building your email list and send them to your favorite mailing services like Maichilchimp. Promote your products and engage your visitors to take action in your website. 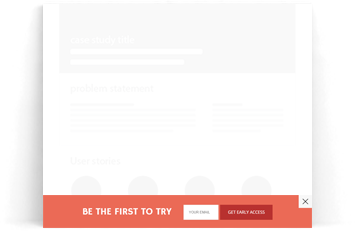 Create contact or feedback forms and track the messages in your dashboard. Want to sell digital, physical or services in a fast and easy way? That's your solution. 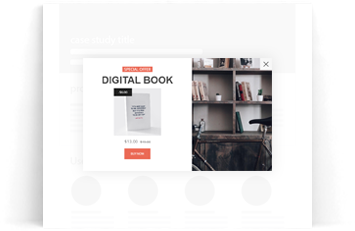 Your own store functionality in a popup! 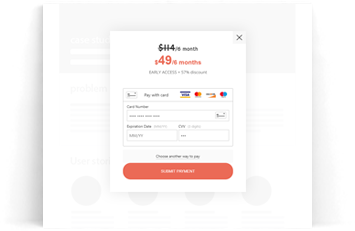 Connect with your payment options and enable custom payment forms in minutes. 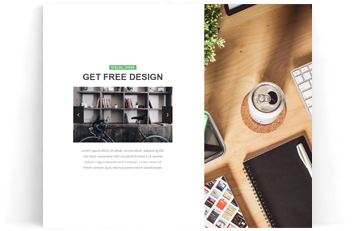 Have the whole page as a canvas to create your popup with the drag & drop elements. 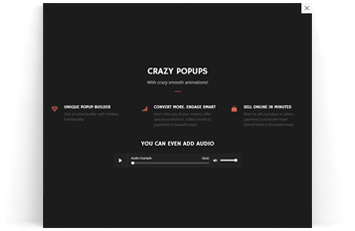 Add any kind of multimedia, galleries, photos and even audio to your popup. Slick notifications on the top or bottom of your page. Add crazy smooth animations to all your elements. Put your creativity to work! 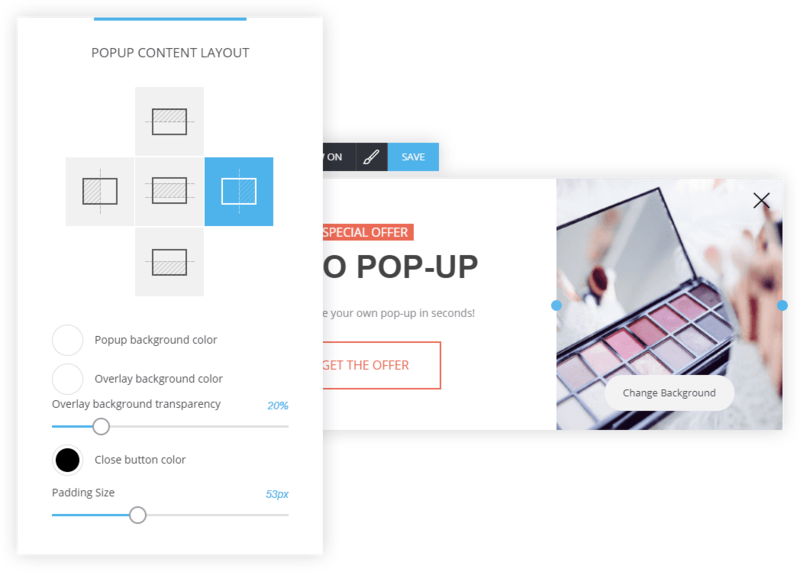 There are 5 different content layouts for your popup and all the settings you need to personalize them. 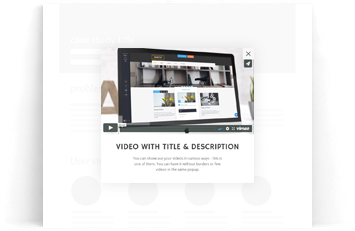 Change the background or layout color and adjust the padding with just a few clicks. 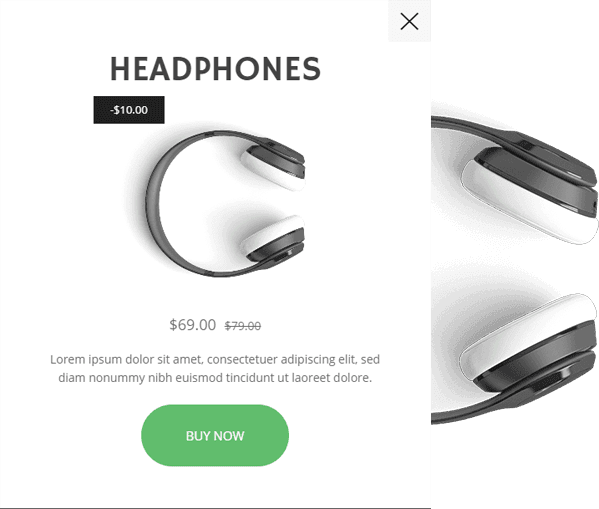 Create your own little online store within your popups. Connect your payment methods and you are ready. Start monetizing your website today. 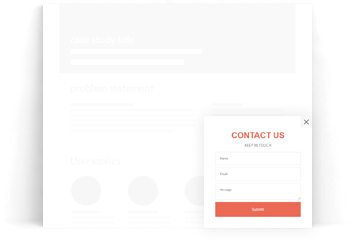 We're working towards bringing the best way to convert your site visitor to customers. 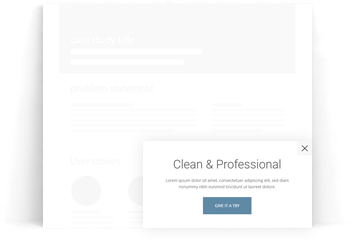 Track your performance, A/B test different popup campaigns and crush your competitors with insight analytics. If you’re not satisfied with ActionPanels we’ll refund you. We will appreciate you sharing your discovery!